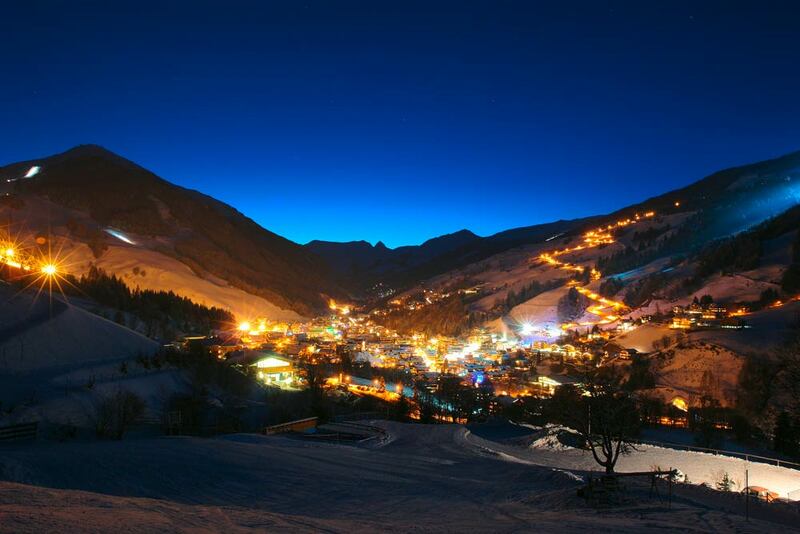 Saalbach is one of Austria’s premier ski resorts, offering a wide range of runs, extensive off piste, and an excellent snow record. Skiing can be found on both sides of the valley. The runs on the north side of the valley (south-facing side) tend to be preferred by visitors due to their sunny weather. The pistes on the south side of the valley (north-facing side) are normally in the shade, so have better snow cover, particularly in late season, as well as more trees. Much of the off piste skiing is found on the north side, where thigh-deep, untouched powder can be found only metres from many of the pistes. There is a small snowpark in Hinterglemm, but experienced snowboarders and skiers prefer to head to the snowpark in the adjacent valley in Leogang, which boasts superior kickers, as well as rails and jibs. Saalbach-Hinterglemm also features 6 and 8-man chairlifts with heated seats and retractable covers for use in bad weather. The Wellness- and Familyhotel Egger is situated directly besides the unique floodlit piste, just over the roofs of Hinterglemm and only 1-2 minutes away by foot! Just a few steps away from the hotel is the comfortable cablecar U-Bahn! The oldest evidence of settlements in the municipality stems from 1222. The name Salpach first showed up in 1350. Before 1410 there was a church in the town. In 1489 archbishop Johann Beckensloer gave the town market rights. In spite of this, Saalbach remained, for the most part, a poor agrarian community up into the 20th century. A lasting increase in prosperity did not occur until after World War I, but started primarily after the tourists began arriving in 1945. In 1987 Saalbach’s name was changed to Saalbach-Hinterglemm. From the 22nd of January to February 1991 the Alpine Ski World Championships took place in Saalbach Hinterglemm. It was the biggest international event ever seen by the region with excellent weather conditions helping to make the event a huge success. It has also been the venue for the British University Snowsports Championships (BUSC) on several occasions with great success. The capital of our Province “Salzburg” is a cultural and festival city with an uncountable number of sights! Saalbach-Hinterglemm and the Hotel Egger are situated in the southern part of the province Salzburg about 90 km away from Salzburg City. By car you’ll need about 1,5 hours. Another possibility is to go by train from Zell am See in about 2 hours. 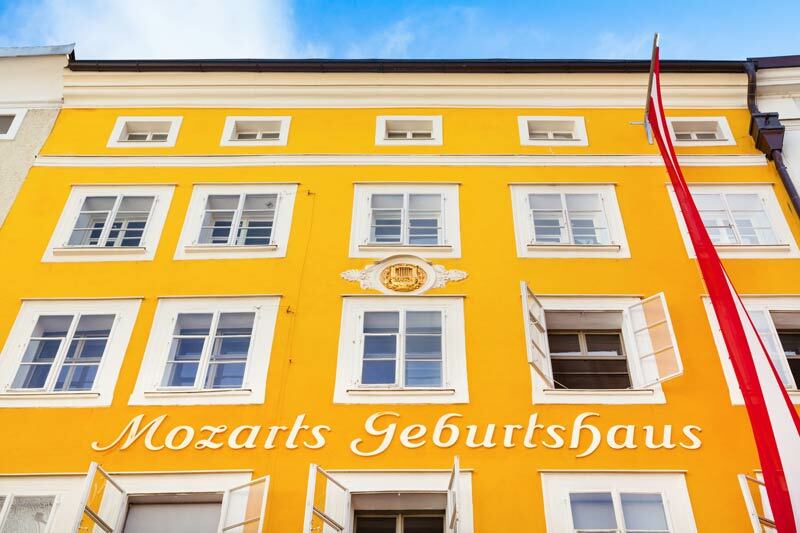 From the Airport “Wolfgang Amadeus Mozart” in Salzburg Airport Shuttles go to Saalbach-Hinterglemm daily. Our reception team will book the shuttle for you, if you order it! The city of Salzburg offers a lot of shopping-possibilities! Only to name two, you will find the Mall “Europark” which is THE most successfull Shopping Mall in Europe, and a brand-new McArthur Glen Design Outlet-Center where you’ll get Designer Clothes up to 70 % cheaper! Documents, pictures, furniture and musical instruments from Mozart’s lifetime. The Festung or Hohensalzburg Fortress, the chief landmark of Mozart’s city, is the largest, fully-preserved fortress in central Europe. 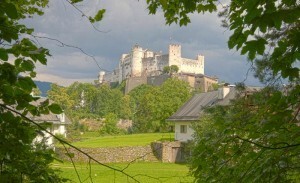 Hohensalzburg Fortress, built in 1077 by Archbishop Gebhard, considerably enlarged by Archbishop Leonhard von Keutschach (1495-1519), largest, fully-preserved fortress in central Europe. The medieval princes’ apartments and the Fortress Museum are of particular interest. Since 1892 the fortress can easily be reached by funicular railway departing from the Festungsgasse. 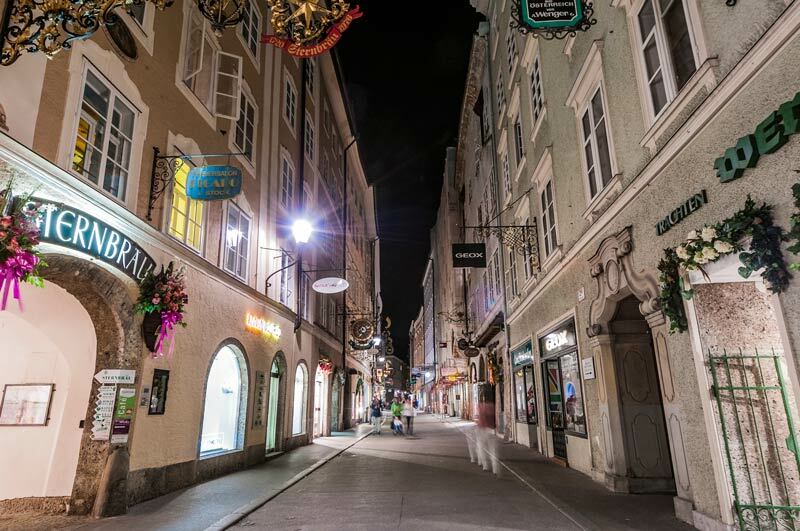 Getreidegasse is the heart of Austria’s most beautiful shopping center. Artistic portals, picturesque arcaded courtyards. Today most people are attracted to the Getreidegasse because of its multitude of shops selling jewelry, “Trachten” or traditional costumes, the latest fashions, antiques, leather and paper goods, parfumes, delicatessen and just about anything one could want. Even today, the elegant and intricate guild signs of the restaurants, shops and workshops project above the visitors’ heads. Many of these elaborate “advertising signs” are the product of skilful craftsmanship.